If you are looking for something extra special, order Our Gourmet Picnic Pack. 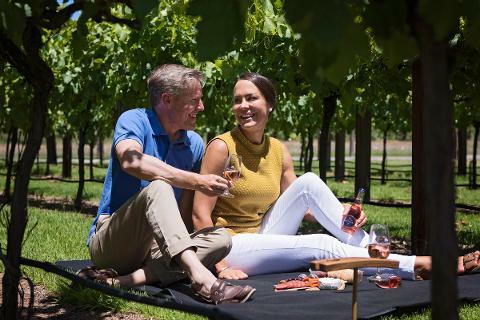 Designed for two people to share, collect your pre-packed picnic from Jacob’s Creek and wander along the creek, past the old fig tree and sit down by the Jacob’s Family’s homestead to enjoy the Barossa at its best. 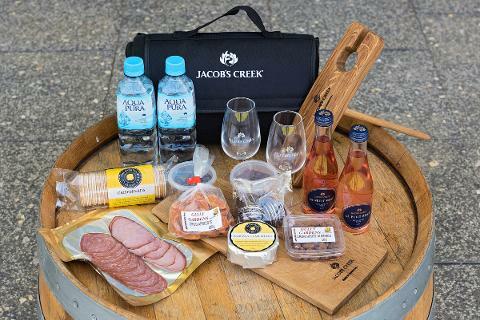 The Gourmet Picnic Pack also includes a picnic rug, a bottle of Jacob's Creek wine, two wine glasses. 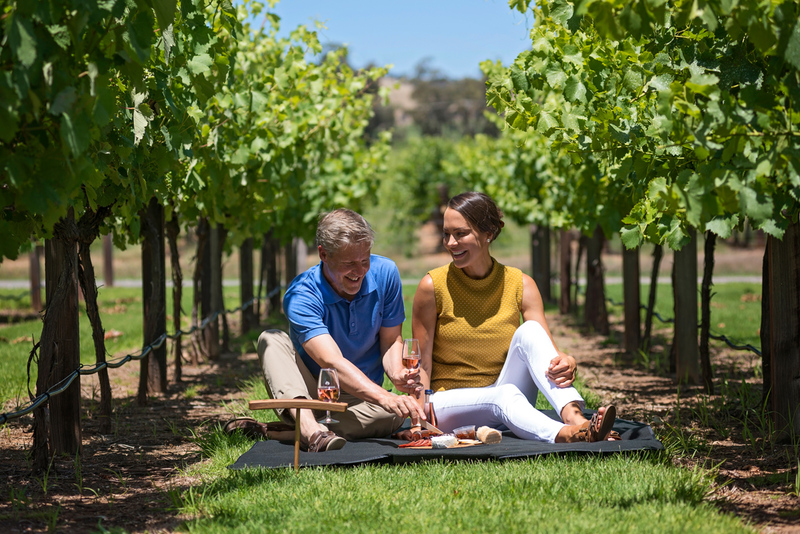 Plus, you will also receive a handmade picnic stake holder and platter made from Our barrels & crafted by Winestains Barossa Valley. Please note picnic contents are subject to change.